It may be surprising to some, but Dog DNA tests in a lot of countries are more common than human DNA tests. They provide pet owners the ability to learn about dogs’ family tree and more importantly, about potential health problems. But which dog DNA kit is the most accurate? Wisdom Panel – the company has been involved with canine genetics research since the late 1990s, and in 2005 they've launched their own dog DNA tests. Currently, they're one of the oldest and most established names in canine genetics testing with 15,000 breed signature samples and 250 dog breeds in their database. Embark – the new kid on the block, the company's founders were involved with dog DNA research since 2007 and currently have the most experienced team of canine geneticists, scientists and veterinarians. They've improved on the old model of testing dogs' DNAs, expanded the breed database and brought more focus on canine health. What to Expect from a Dog DNA Kit Test? After testing both of these dog DNA kit choices, the differences were very clear. Below in this article I delve into a lot more details on what you should expect from an accurate canine DNA test, and how each of these two popular options performed. Here's a brief summary of our findings after testing and reviewing. We'll talk about the specific benefits of knowing your dog's genetics later in this article. And we've also tried and tested two of the most popular dog DNA kit options available to pet owners today, Embark and Wisdom Panel. These concepts were developed on some of the more recent studies, like the Genome Sequencing published in the Nature scientific journal (Lindblad-Toh et al. 2005). However, because canine DNA testing is a relatively new idea in the realm of at-home DNA tests for dogs in the US, there aren't a whole lot of options out there for pet owners looking to test their dog's DNA. We've previously reviewed five of the best dog DNA tests, and only two came up as worth taking a look at, both of which will be compared here. I'm going to cover all of these things in detail, as well as tell you about the features offered by the Wisdom Panel and Embark dog DNA kit products, and how they fair against each other. Let's dig in. Understanding your dog’s family tree will tell you what diseases and physical problems and conditions it is prone to. A lot of health issues in dogs are easily and cheaply preventable with the right lifestyle and care, as long as the owner was aware of them and their risks in advance. We've had a conversation with Ryan Boyko, CEO at Embark, on this exact subject during our podcast interview and also discussed the effectiveness and purpose of testing your dog's DNA (listen to the interview here). Especially with a lot of the purebred dogs that exist today, there are a ton of risks of genetic diseases and conditions that are dependable on the exact family history. Something like the exact breed of the dog’s great grandfather can literally “make or break” your dog. Understanding your young pup’s history can tell you a lot about its future character, about its intelligence and preferred styles of play, the best way to train obedience, the best way to train tricks, how social it is likely to be with strangers, with kids and with other pets, what to do when you have to leave the dog alone, and so on, and so on. Of course, we are not saying that the entire character of a dog is in its genes – obviously it is not. However, there are a lot of different predisposition and character traits in different breeds. So, especially in mixed breeds a doggy DNA test can really help you plan the perfect training and lifestyle regime for your pup. 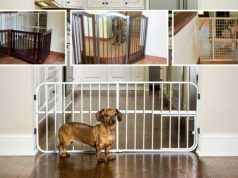 Knowing your dog’s exact breeding history is important if you want to breed carefully it or even just let it procreate – even if you are not interested in whether a breed is pure or not and you just want puppies, it’s still very beneficial to know the breed characteristics of the dog so that you know which crossbreeds would give you the healthiest puppies. Just like with people, a DNA test for dogs can show if the dog has any genetic predisposition or unacceptability towards certain medications. This can help your veterinarian an awful lot during crucial treatments in choosing which medication is best suited for your pup. This genetic information quite literally saves lives during a lot of treatments and procedures. All right, so DNA tests for dogs have their rather significant merits. How does one go about DNA testing their pup, however? Are there different brands? Is it as awfully complicated as it sounds? Is it expensive? Yes, there are quite a few different brands of dog DNA tests in the U.S. as well as worldwide. And no – we wouldn’t say it is too complicated. More complex than buying dry food, sure, but nothing too scary. As for the price – it depends on the brand, but it is not something unimaginable either. But, why speak vaguely, when we can simply go into a couple of the more famous and lauded dog DNA kit brands out there – Embark and Wisdom Panel. We will discuss the key features of each DNA test, most of their more significant pluses, as well as most of their notable negatives. In the end, we will draw our conclusion. Of course, keep in mind that some of these comparisons have a subjective component, as well as that both brands constantly change and improve their tests. Nevertheless, the comparison should give you an idea on which test is more suitable for your situation, as well as what are the basics of dog DNA kit products. Of the dog DNA tests out there at the time of writing this, Embark is probably the one that is most lauded for their accuracy – Embark DNA tests are frequently giving more detailed and more accurate results for dogs, compared to other DNA tests done to the same dogs before. Many other dog DNA tests frequently miss entire key ancestral breeds, which Embark pinpoints with impressive accuracy. And this is not a slander on other DNA tests – DNA testing is a very new scientific field and is just now getting explored. Even with human DNA testing these mistakes happen because laboratories and companies are still pioneering in the field. However, Embark’s accuracy is an impressive feat, proving that they are currently ahead of the curve in DNA testing. Testing your dog with an Embark dog DNA kit is also joyfully easy – just a simple cheek-swab test to get some saliva from the dog is perfectly enough to get the necessary DNA material. So, if you are worried about DNA testing being complex – well, it is, but the dog owner’s part of the process is very simple. Embark’s doggy DNA tests are also done with the assistance and cooperation of Cornell University’s College of Veterinary Medicine. Embark is doing an ongoing research on dog DNA testing, which allows them to so successfully be on the cutting edge of the scientific findings in this area. If you get an Embark DNA test for your dog you are even given the option to include your dog’s DNA data in the research done by Embark and Cornell University’s College of Veterinary Medicine and thus help them further develop DNA science for everyone’is benefit. Embark DNA tests can decipher over 250 breeds of dogs! Embark dog DNA tests are looking for 164 known canine genetic health problems and predispositions. If your dog has any of those 164 major and most popular and dangerous genetic health problems, Embark’s accuracy guarantees that you’ll know about them in advance and be able to prepare for them. Accuracy – something that we already mentioned, but is worth repeating. As of now, Embark is lauded as the most accurate dog DNA test out there. And considering that they aren’t free and are meant to be done once in the dog’s lifetime, accuracy is pretty important. Embark also tests over 220,000 genetic markers when doing their genetic tests – this is more than 100 times more genetic markers than most of their competitors, which is largely where their accuracy stems from. Embark also give free replacement testing swabs, should anything happens to yours. Live chat and email guidance from genetic specialists are also given to clients whenever they need help interpreting the results of the DNA tests. Embark’s website has a frequently updated and detailed blog, FAQs, as well as a newsletter signup. Embark are known for frequently doing charitable work with animal shelters. Embark’s DNA tests are more expensive than most of their competitors’ – at the time of writing this, a standard dog DNA test from Embark costs $199. The tests results also take quite a while to be processed and given to the client – anywhere between 3 and 6 weeks. Embark point out that this is because of their aim for maximum accuracy, however, the waiting time is still a negative in and of itself. This dog DNA kit takes all that was great about the previous Wisdom Panel tests and adds a few new features. This dog DNA kit from Wisdom Panel will give you info about a lot of things regarding your pooch. It will tell you a detailed information about its ancestry, thanks to Wisdom Panel’s 11 different algorithm models and over 18 million calculations per test. The Wisdom Panel test will also give you multiple pages of breed details and analysis of the breeds that your pup is made of. This analysis will give you the physical traits of your pup, as well as all the behavioral specifics that your dog is expected to exhibit due to its genetics ancestry. This Wisdom Panel DNA test will also give you mixed breed components that go back beyond the standard three generations which all DNA tests can go back to. In addition to info about these three generations, the Wisdom Panel 4.0 will give you specific generic breed groups that the test has determined likely make up the ancestry of your pup beyond the last three generations. This cannot be done with accuracy by any test, but Wisdom Panel 4.0’s predictability model increases the likelihood of an accurate prediction to impressive levels. 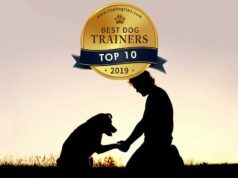 This test will also give you a detailed report of all the breeds that your pup was tested against and the results and matches that resulted from these tests. This level of transparency is very refreshing and quite useful for dog owners that want to see for themselves how the Wisdom Panel 4.0 algorithms work, as well as how exactly their pup compared to other breeds. T o make things even more interesting and give them a physical feel, the Wisdom Panel 4.0 test also gives its clients a printable certificate that shows your dog’s genetic background. Additionally, in its Health section, the Wisdom Panel 4.0 will show you the multi-drug sensitivity of your dog, your dog’s physical traits like tail length and ear cartilage, as well as the expected size and weight, the exercised induced collapse, and more. It will also show you interesting info regarding the coat length, color and style of your future adult pup. It is nearly two times cheaper than the Embark DNA test. Wisdom Panel also offers their results about four times faster than Embark. Wisdom Panel’s DNA tests are also done with a very easy cheek swab sample of saliva. Wisdom Panel is highly lauded for their great customer service. Another neat feature that Wisdom Panel are known for is their user interface which is notably better than those of most of its competitors – with a great, clean, obvious and easy to navigate design, using the Wisdom Panel interface is a joy. The Wisdom Panel 4.0 gives you a detailed breed analysis that tells you the dog’s ancestry of the last three generations and the probable predictions of its ancestry beyond that. Wisdom Panel 4.0 gives you the choice of DNA tests for mutt, purebred and designer dogs, which helps to achieve even more accurate results. Specifically compared to Embark, Wisdom Panel loses the accuracy battle in terms of breed identification, which is quite crucial for a DNA test. When it comes to Health information, Embark also generally pulls ahead with more detailed and accurate readings. If you have only heard of one of these tests and not the other, and you chose to take this test for your dog, you will likely be very happy with the result. Both Embark and Wisdom Panel have a lot of notable features and will give you a ton of useful information that is more than worth their price. All that being said, if we had to recommend one to most dog owners, we’d go with Embark. Wisdom Panel will do so much quicker and at a much lower price, while Embark will take their time and will cost you more, but will give you much more extensive information and will be far more accurate. In the end, it all comes down to two factors: (a) cost, and (b) quality vs speed. If you want this done fast and cheaper, go with Wisdom Panel; if you want the most accurate information with extensive details about your dog and his health, and don't mind paying a little extra and waiting a little longer – pick Embark. Overall, the Embark remains the winner in this race of best dog DNA kit test comparison. The reason is that while Wisdom Panel is by no means “inaccurate”, when it comes to a dog DNA kit, these tests are generally something you do once and then use the information throughout the dog’s life. Therefore, the lower price and faster turnaround time of Wisdom Panel isn't that significant of an advantage in the grand scheme of things, but Embark’s superior accuracy definitely is. Those are just our thoughts on the matter and they only reflect the current situations. As I have said in the beginning, dog DNA kit testing is a very new scientific field and is developing rapidly year after year. With that in mind, expect a lot more exciting things to happen to both these DNA tests, and choose the company that is most dedicated to this field and has a promising future.